Google often makes the list of best places to work in the US. The three founders of ad tech startup Beeswax are all former Google executives who made the tough decision to leave. They each explained to Business Insider why they decided to leave the company. Among the reasons that helped them decide: finding more room to work, getting the space to have unlimited impact, and operating in an environment not ruled by engineers. Employees routinely rank Google as one of the best workplaces in America, and deciding whether to leave the company is never an easy decision. The three founders of the startup Beeswax, all of whom are former Google ad executives, recently explained to Business Insider how they each knew it was the right time to quit. 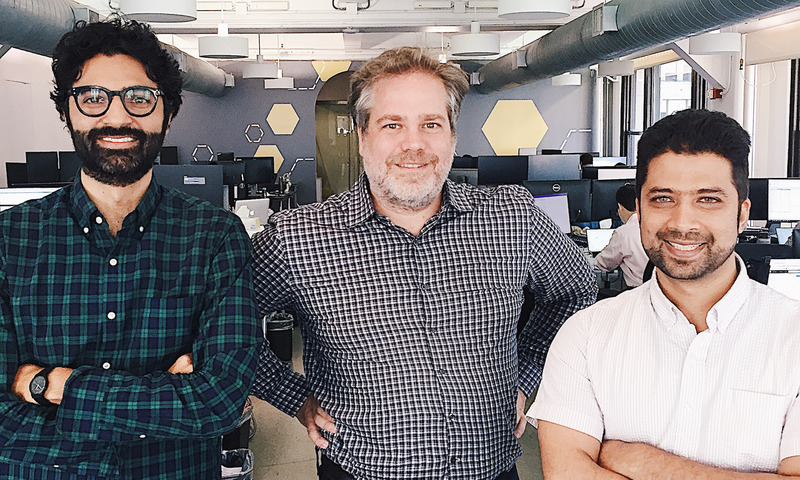 The trio founded Beeswax, which makes software that helps companies bid for ads online in real time, in 2015, and have since expanded to 55 employees and are outgrowing their Manhattan office. Their revenue last year was estimated at $US25 million. Before leaving to start Beeswax, chief technical officer Ram Rengaswamy worked at Google for seven years as a tech lead and software engineer on high-profile projects like Gmail. But at Google, he said, he wasn’t able to build projects from the ground up like he wanted to. It was a matter of “I’m inquisitive, I’m curious, and I’m not learning enough on my job,” he said. On top of that, he said at Google it can be hard for your accomplishments to stand out, and it’s unlikely you’d get attention from higher-ups like founders Larry Page or Sergey Brin. Meanwhile, Ari Paparo, Beeswax’s CEO, left Google in 2010 after two years as a director of product management. More recently, he was a product management executive at AppNexus and Bazaarvoice. He said his decision to leave Google was more based on finding a company culture that would allow him to succeed. Beeswax’s chief product officer, Shamim Samadi, worked at Google for nine years, the longest-tenured Googler of the three. His two stints at the company included six years as a lead product manager for advertising. Samadi said Paparo approached him with the idea for Beeswax and immediately became excited at the thought of developing the new ad technology. But more importantly, he realised he’d have to leave Google to develop it. Already having a strong relationship with Paparo and Rengaswamy, Samadi said he felt comfortable making his exit at Google.